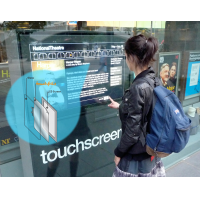 Touch sensitive film transforms most LCD screens into an interactive display. 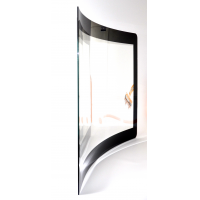 The touch sensitive film can be applied to the back of most glass types. 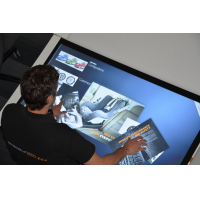 The touch foil can respond to 32 touches simultaneously. 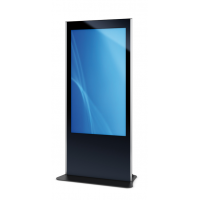 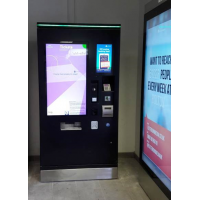 The film can be used on enclosures rated up to IP68 to create a rugged, interactive touch screen display, suitable for use in any environment. 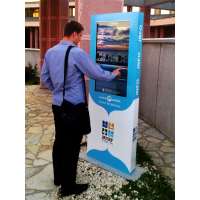 Contact VisualPlanet to engage your customers. 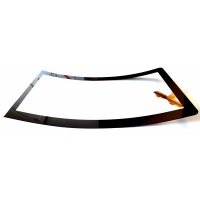 VisualPlanet is a leading manufacturer of touch sensitive foil. 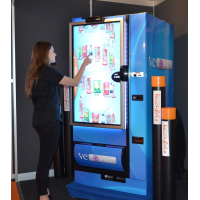 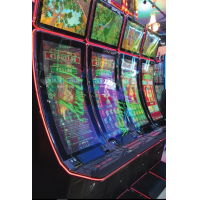 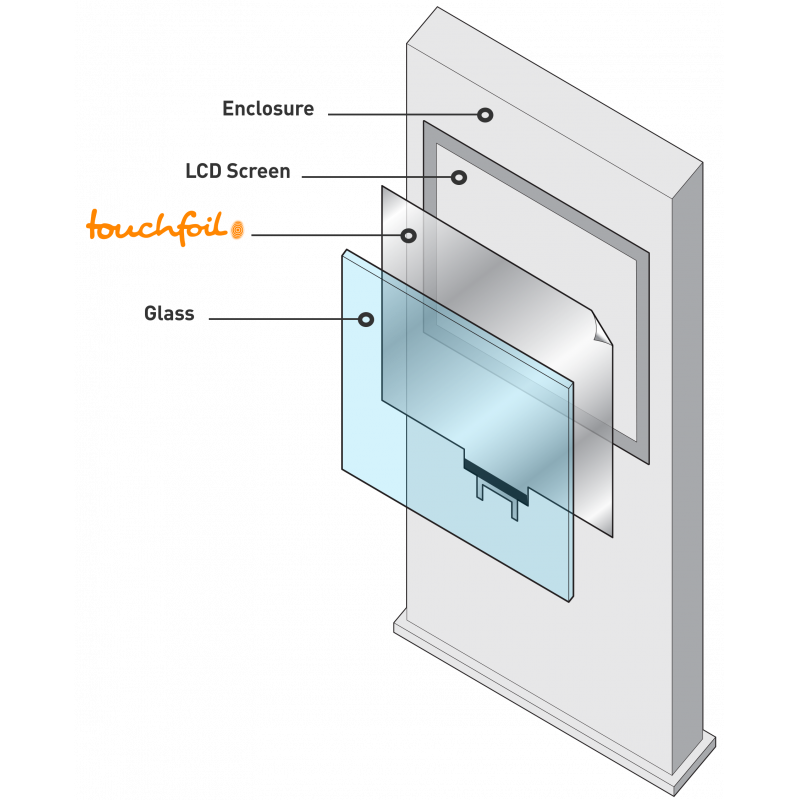 TouchfoilTM is applied to the back of glass, which is then mounted on a standard LCD screen to create an interactive display. 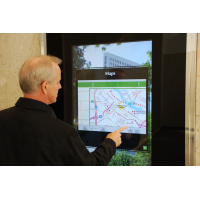 The projected capacitive (PCAP) foil uses electrical signals to respond to up to 32 touches at a time. 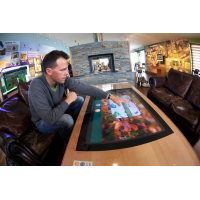 Your customers benefit from an engaging and sociable experience, while you benefit from a much higher return on investment (ROI). 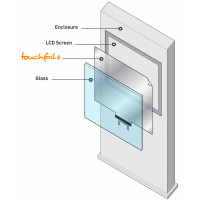 The touch foil is weatherproof and suitable for enclosures rated up to IP68. 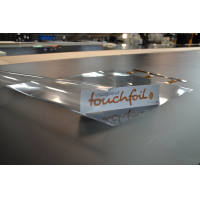 The touch foil responds to interaction even through gloved hands, meaning it can be used by customers in cold conditions and by employees in the industrial workplace. 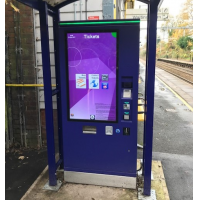 You can generate profits at any time of the year, whatever the weather. 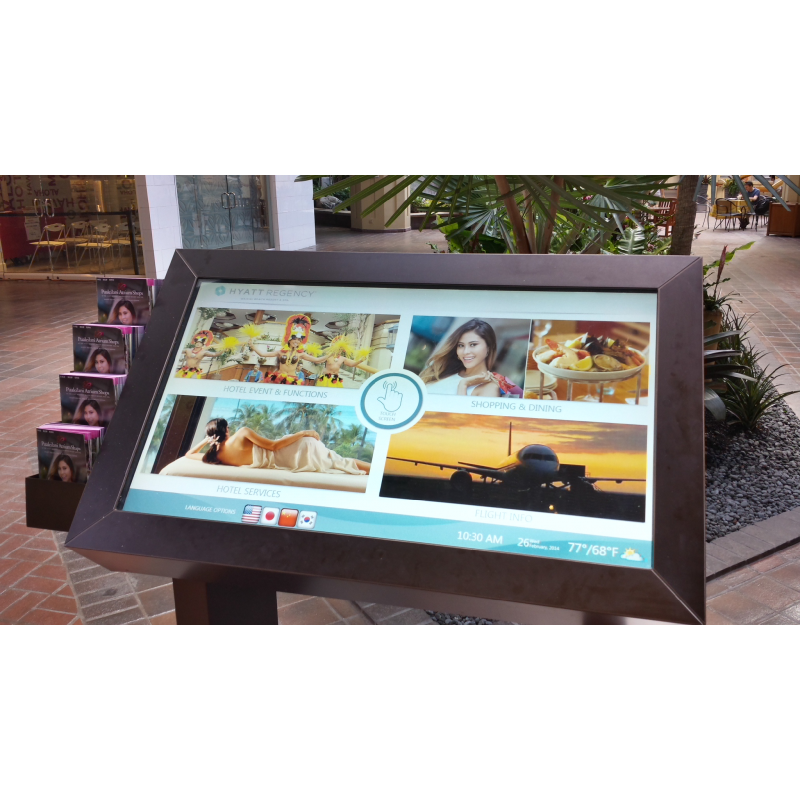 Engage your customers by giving them an experience to remember with VisualPlanet’s TouchfoilTM. 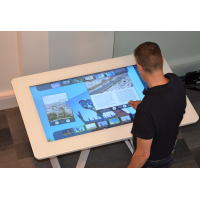 Multi-touch – The touch foil can respond to up to 32 touches simultaneously, meaning several people can use the interactive display together. 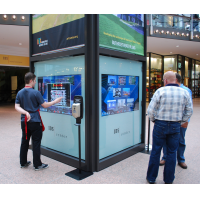 This social experience improves customer engagement and drives profits. 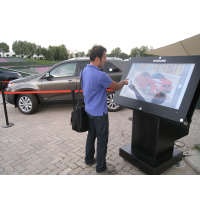 Weatherproof – Customers can use the touch sensitive film in wet conditions. 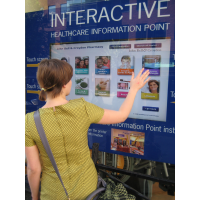 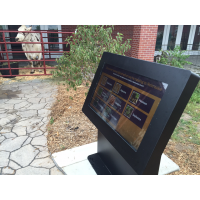 This means you aren’t restricted and can benefit from the interactive display outdoors. 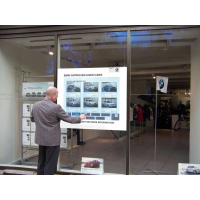 Usable with gloves – The display can be used by customers wearing gloves in the cold, improving customer experience. 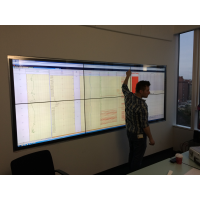 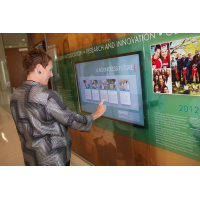 Employees can also use the touch screen in the industrial workplace. 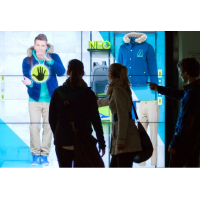 Maximise your return on investment (ROI) during months when your competitors aren’t. 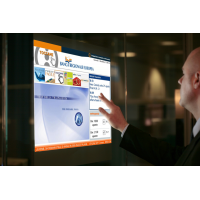 Custom – A range of sizes and flat or curved styles means you’re sure to find the right touch sensitive film for your application. 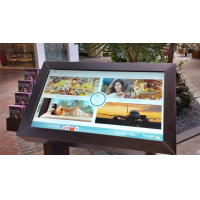 Responsive – Responding in 6 to 8 milliseconds, the touch foil is highly accurate, ensuring customers have an immersive experience. 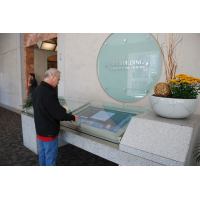 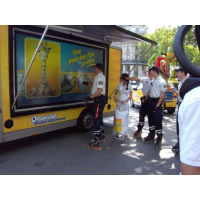 For more information about the touch sensitive film, contact VisualPlanet.